Festive vector layout for the winter holiday season. Christmas Village with seasonal characters: Santa Claus and a reindeer. Sleigh, presents, decorated tree and a lot of snow. 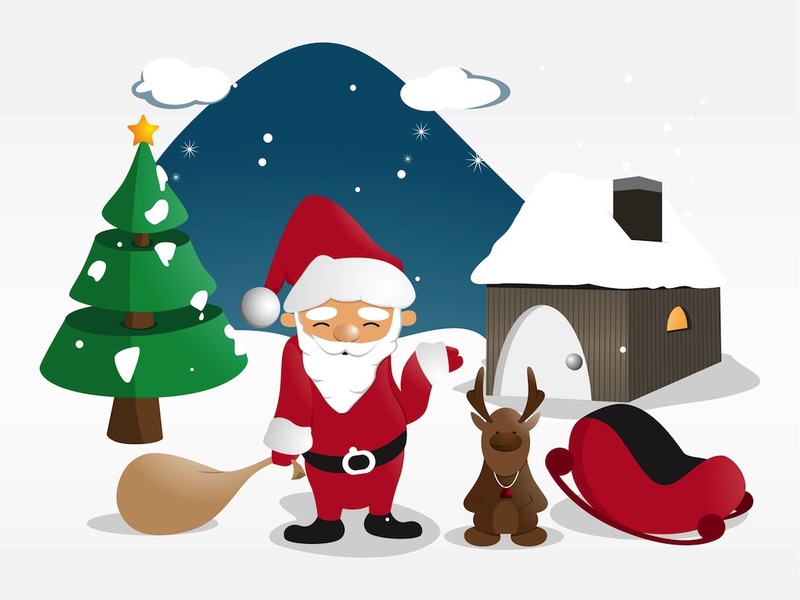 Free vector illustration for all your Christmas, festive, holidays, winter, snow, family celebrations and presents projects. Tags: Celebrate, Christmas Tree, Festive, Greetings, Presents, Reindeer, Santa Claus.